Certo has just recently opened, and yet I had somehow already heard about it. It’s another one of those places you read about, but aren’t quite sure where it’s at. It was quite a surprise to stumble upon it. As a matter of fact I stumbled upon a brand new food cart pod. Update: They have now moved to 23rd & Alberta, but there are still carts at 15th & Alberta. I walked over and checked out the menu and the first thing that caught my mind was Porchetta. I continued to peruse the menu, but kept coming back to that. The owner assured me it would be good. 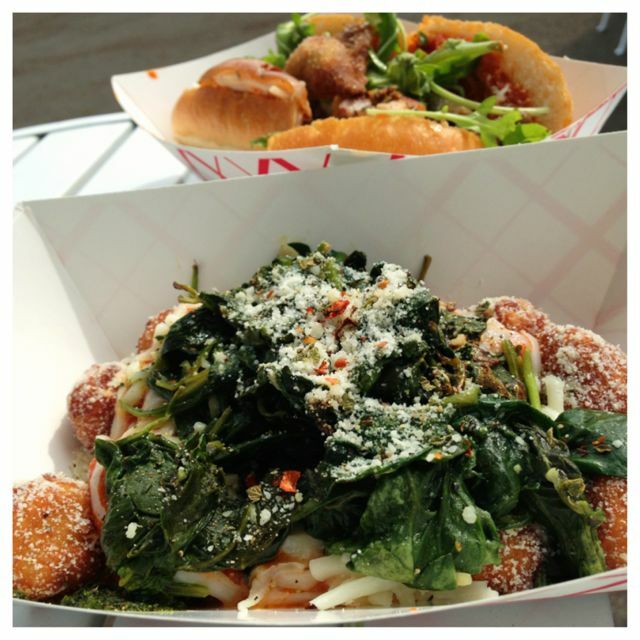 Then I noticed the Fried Gnocchi. Dang! Fried? I’m in! I was with a friend so we decided to share both items so we could get an idea of what this cart was about. The porchetta sandwich was good. I liked the meat and sauce, I do wish there would have been a little bit more meat, but overall good sandwich. Fried Gnocchi. This was a first for me. 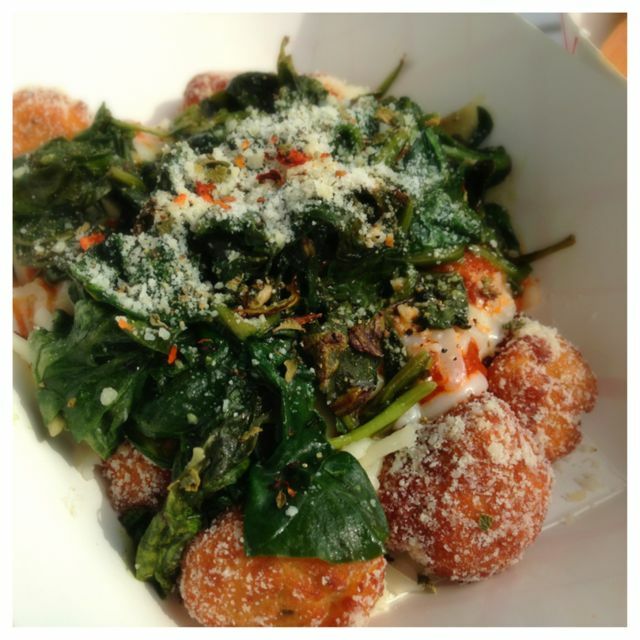 The fried gnocchi…..oh man…..this dish stole the show for me. When I was ordering I told the gal I had no idea how I should order it, so I told her to surprise me. She topped it with sauteed spinach. This was seriously good, not the healthiest dish, but it was so good. It was also very, very filling. Overall I’m liking this new cart. 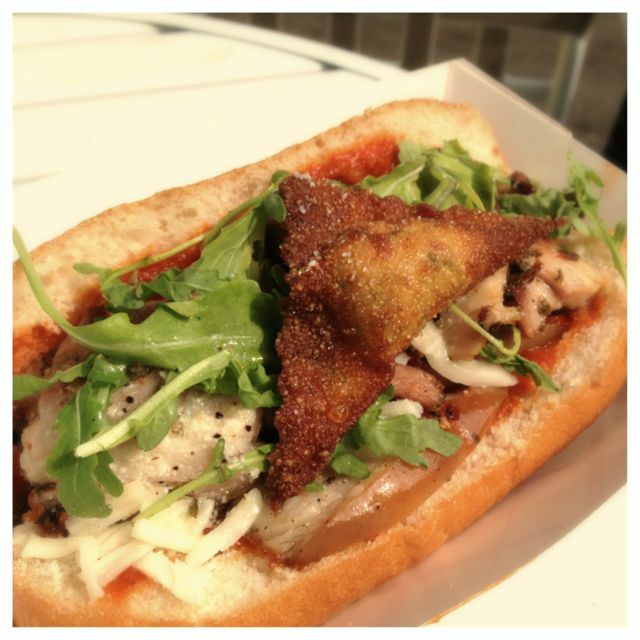 There were a few other menu items that I would like to go back and try, like the arincini sandwich. Now that sounds intriguing. Atmosphere at this pod is fantastic. They often have live music, fire pit and a fully covered tent for your winter needs. Service was fantastic. She was super helpful and energetic. Pricing was good. We were both stuffed from these 2 dishes. There were a few different drinks offered, and we chose water. 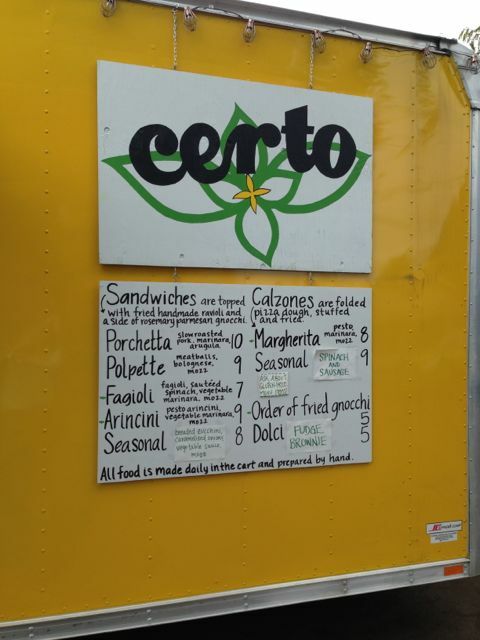 Certo is located on Alberta and 23rd.